I remember my maternal grandfather who fought for the freedom of the country. His tireless struggle for freedom earned him the respect of one and all. His village had no electricity, water was scarce, and a train, which passed by the village once a day, was the only connection to the rest of the world. Calling British imperialist rule 'a form of slavery', my late grandfather Dukkipati Nageswara Rao involved himself in the Indian Freedom Movement to end British rule of India. He was a man of vision, a freedom fighter who rejected violence. He belonged to that select breed of freedom fighters that walked the Gandhian path and contributed magnificently to making the freedom movement a truly mass movement in the country. He was barely twenty when he heeded Gandhiji's call for non-cooperation against the British and took it to the villages. He met Mahatma Gandhi in his hometown near Gudivada during the Independence movement. 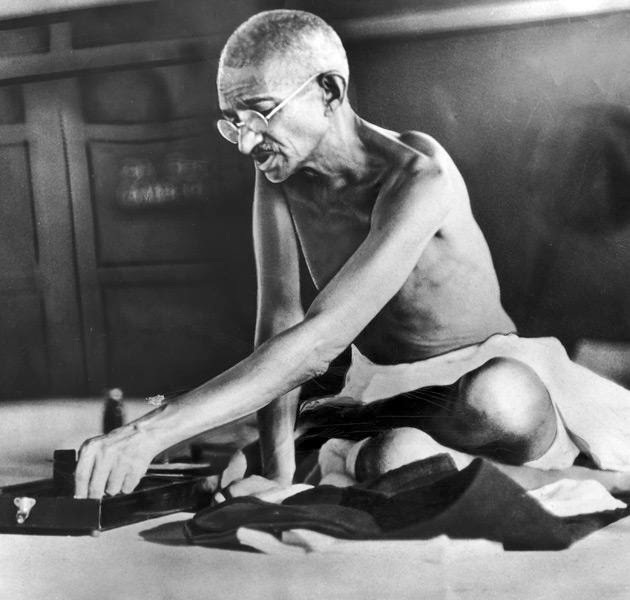 It was a life-changing moment for him, who became fascinated with Gandhian philosophy after meeting the Mahatma. Chosen as a delegate to a meeting of the Indian National Congress, which the British declared illegal, he was arrested and sent to jail for two months. My grandfather’s stint in jail exposed him to even more active politics and nationalism. Along with his Congress membership he was determined to be very active in State. 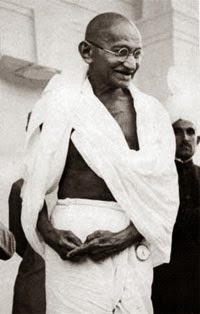 In 1932, Gandhi called for a major nationwide Satyagraha against foreign goods. There were cries of ‘Mahatma Gandhi ki Jai’. As they began to move around picketing shops selling foreign goods, they were arrested, taken to prison, and charged with 4 and half months of rigorous imprisonment. He set a personal example for his people in the years he spent in prison. He was never arrogant. He worked to mend the tears in Indian society and with his character managed to prevent outbursts of racial hatred. The great freedom fighter Late N.G.Ranga was his mentor and his political guru. Dukkipati Nageswara Rao participated in all the Gandhian non-violent mass struggles in the three decades before Independence and spent a good part of his life in various jails. He was an indefatigable political worker and a skilful organizer. All set and done my grandmother even refused to accept the land of ten acres along with a Tamra Patra award given to frontline freedom fighters as well as national and state pensions accorded to such people. She used to remind us that my grandfather Dukkipati Nageswara Rao fought against the British for a free India struggle and not for any gain whatsoever. There are so many known and many unsung heroes who died for their motherland and the least we could do is not let their contributions and their sacrifices go into vain. The numerous Freedom Fighters with their courage and true spirit had faced several tortures, hardships and exploitations to got freedom. Independent India was the dream of each and every Indian who lived under the British rule. Each and every individual during the British rule fought in some or other way having a common aim of abolishing the British and various other colonial authorities ruling over different parts of India. The Indian Independence struggle had many important chapters including the Revolt of 1857, Jalianawala Bagh massacre, Non-cooperation Movement to the Salt Satyagraha and Quit India Movement. India went through a long journey that had numerous national and regional drives and the two main weapons used were truth and non-violence. As the tri-colour flutters in the sky, let each citizen promise to work hard to bring glory to the country and reach the goal of making India a great nation that stands for human values. I salute all the freedom fighters who sacrificed their lives. Remembering them especially on this Republic day.